Sydney, Australia’s most populous city, continues to attract more people to live within its borders. With 4.3 million residents as of 2011, it is one of the world’s most multicultural cities. It’s easy to understand why people want to live in Sydney. It is teeming with business opportunities, exciting activities, and beautiful spots. In general, Sydneysiders enjoy having a great time with family and friends. So where’s the best place at home to do that? Easy. It’s in open, airy, relaxing spots at home like decks, patios, and pergolas. For 40 years, Urban Exteriors has worked in so many outdoor transformation projects across Sydney. We have become a highly-experienced team when it comes to designing and building sunrooms, patios, pergolas, and decks. Further, we provide custom solutions for outdoor spaces including louvres, ballustrades, staircases, and privacy screens. We are a family-run business and we aim to consistently provide high quality work. Sydneysiders are busy people that’s why our insulated panel roofing solutions are a great choice for patios and pergolas. They require low maintenance and are easy to clean. For framing materials, we provide aluminium beams and posts that are powdercoated. They do not rust and are available in virtually any color. They are also resistant to fading, scratching, and chipping. Decks are a beautiful addition to any home. At Urban Exteriors, we build attractive and durable decks. One popular option we offer is the HardieDeck. It’s a low maintenance solution for busy city people. And, yes, staining is no longer necessary! It is highly durable and comes with a 10-year guarantee. 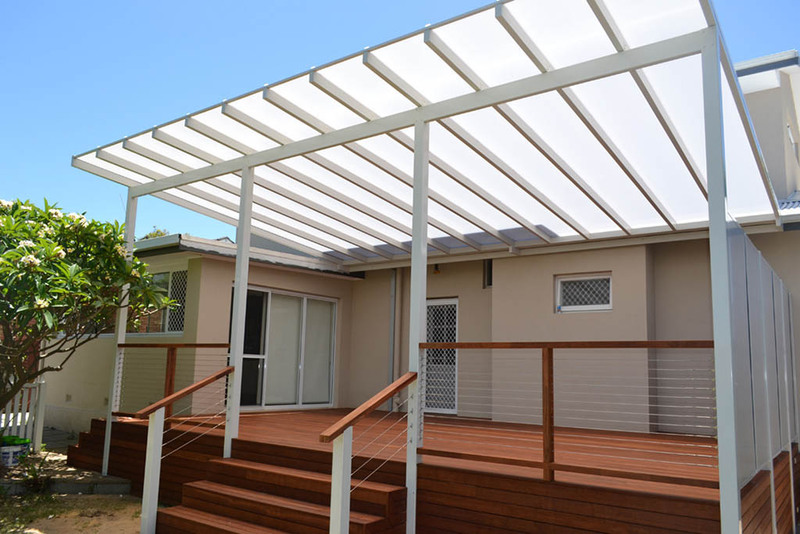 Your house in Sydney will look even more attractive with the addition of a sunroom. Sunrooms or conservatories are loved by many because of their utility. They can be used as a place to entertain family and friends, an exercise area, a home office, or even a dining area. Urban Exteriors makes beautiful and competitively-priced sunrooms that will delight homeowners in Sydney. Let us turn your dream outdoor spaces into reality. Contact us today for more details.